Large 1970's Farm House on 10 acres. Kictchen/Dinning modern, rest of house original. A unique opportunity to rent a rural lifestyle property and enjoy the 'rural lifestyle' for a few days. We have sheep and a small avocado orchard. This is our weekend getaway from Auckland and is very peaceful. 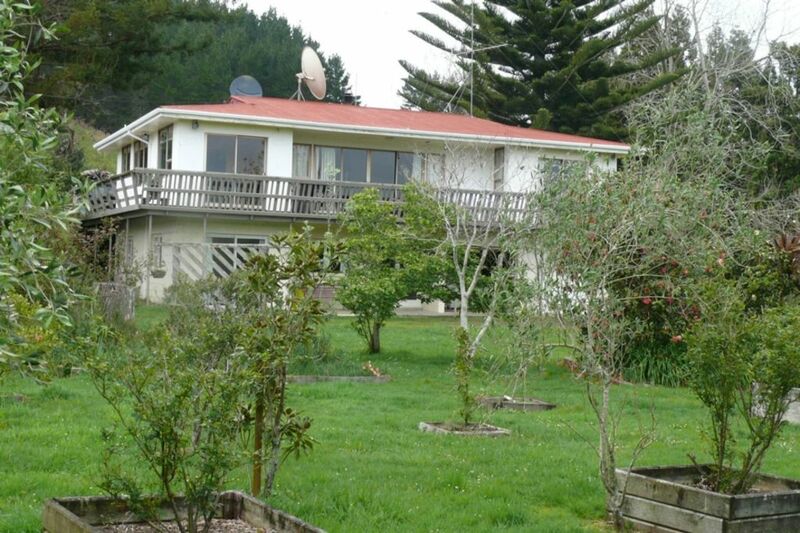 Very private but close to the beaches and to Whitianga, ideal for two families to share. Under Kiwi bach tradition you are expected to: Clean the house and do the dishes before you leave. Bring your own linen (towels/sheets/tea towels). Blankets, pillows, duvets are provided. Please do not exceed the maximum number of occupants stated. If the number of occupants is exceeded at any point the tenancy will be terminated forthwith without a refund. Having more people to stay than you state and pay for is fraud. Camping in tents or caravans is not allowed, without prior written permission. Where permission is granted, guests who are camping will be charged the per person rate that applies at the time of the rental. We are happy for you to bring pets provided they clean and under control and you have told us first. Please remember that we have sheep so a dog must be under control at all times. There is a log burner in the lounge and a variety of electric heaters throughout the house. We stayed at the property for a catch up with friends. Close to hot water beach etc so easy to visit. Owner was excellent to deal with. Peaceful surrounds and handy to so many beaches! We really loved it. It's a very cool old farm house (with a modern kitchen). Absolutely everything we needed was there. We will definitely return! We had a great time in this roomy house which easily housed our 2 families. Great location close to the beautiful beaches of Hahei and Hot Water Beach. Appreciated the wine, avocados and lamb sausages on arrival! Host very responsive to messages. Nice setting, cheap avocados for sale, plenty of room. Modern kitchen / dining area, rest more traditional bach feel but very functional. Beautiful space perfect for our family gathering. Clean, well set up with everything we needed and a bottle of wine to welcome use. Thank you for sharing your lovely space with us. Location was perfect for us. Location was perfect for us. Needed to be close to lots of activities for 2 pre-teen boys. Plenty of room inside and out. Beautiful setting.